Presidents Vladimir Putin and Abdel Fattah Al-Sisi will meet in Moscow to discuss cooperation between Russia and Egypt, as well as the urgent issues such as the Gaza crisis and the situation in Iraq and Libya. The Russian President’s press service says the two leaders had a telephone conversation, before the visit scheduled for August 12, where they confirmed their desire to increase cooperation. On Iraq and Libya they both expressed their support for dialogue in Libya, and the resolution of the conflicts by political means. Also, Vladimir Putin voiced his concern over the situation in Gaza and praised Egypt’s efforts to achieve a peaceful settlement in the region, including the organization of direct contacts between the Israelis and Palestinians. Last week Russia’s envoy to the UN, Vitaly Churkin made a statement on Russia’s appreciation of Egypt’s peacemaking role in the Gaza crisis and said that Cairo’s ceasefire plan can be used as a framework for future mutually acceptable agreements and eventual peace. 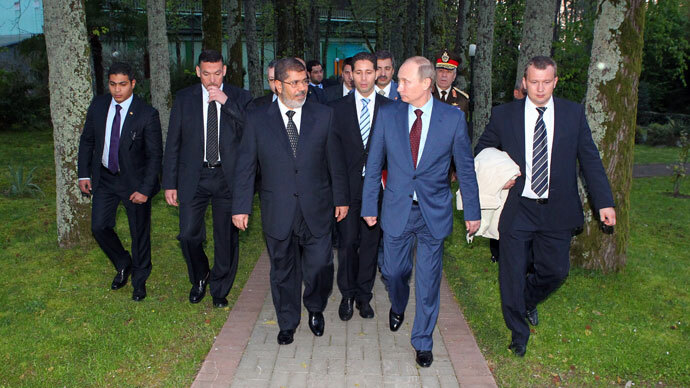 The meeting in Moscow is due to continue the general line for stronger ties between Russia and Egypt. In early June Vladimir Putin wrote to Sisi congratulating him on his victory in the presidential elections and reiterating the readiness to strengthen Russian-Egyptian relations. 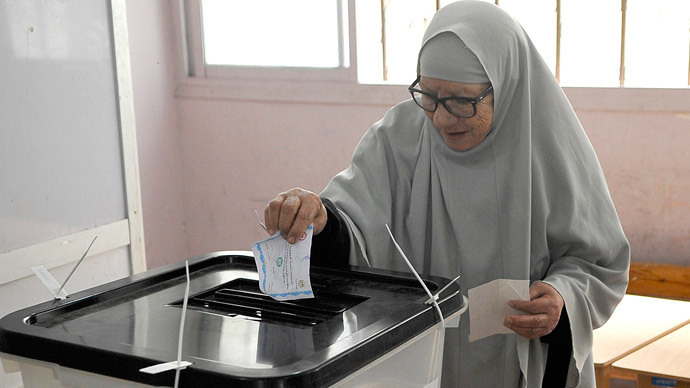 “Your convincing victory in the election is evidence of the considerable respect you have acquired in Egyptian society,” read the Russian president’s message. 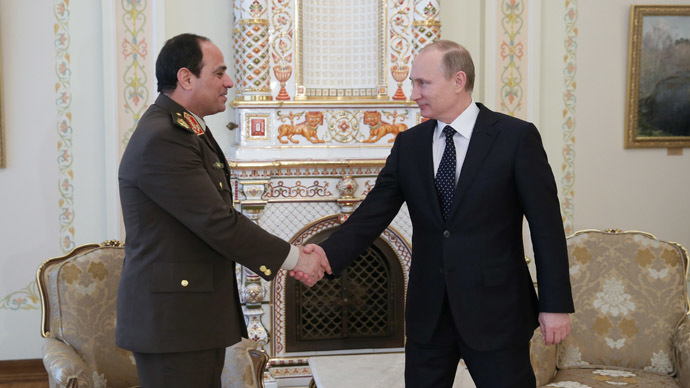 Putin also expressed his support for Sisi’s presidential bid before the election – in particular during his February visit to Russia as interim defense minister of Egypt. In November 2013 Sisi met with Russian Defense Minister Sergey Shoigu in Cairo and assured him that the two countries would continue a strategic relationship, opening a new stage in constructive and fruitful military cooperation. 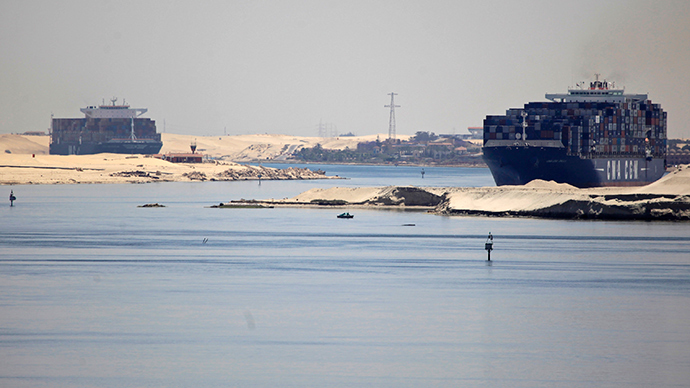 Shoigu said a strong and democratic Egypt will be an important factor to maintain peace in the Middle East. 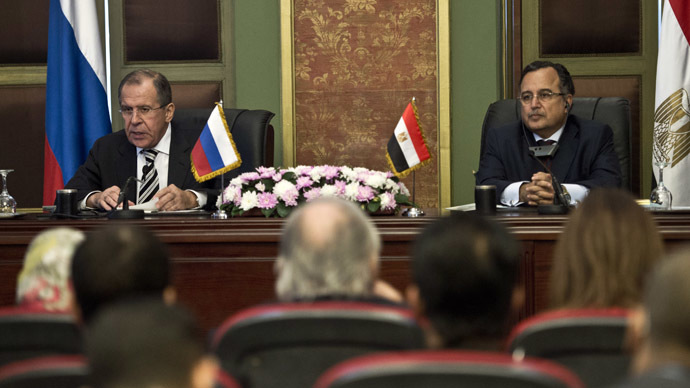 At the same high-profile talks Russian Foreign Minister Sergey Lavrov had a meeting with his Egyptian counterpart Nabil Fahmy and the Egyptian official said that his country wanted the cooperation to be on the Soviet-era level. “We want to give a new impetus to our relations and return them to the same high level that used to exist with the Soviet Union,” Fahmy stated. “We believe that Russia plays an important role on the international arena. We want our relations to develop for the benefit of both states,” the minister added.